Lieutenant Colonel Oliver Laurence North [Unit 3rd Battalion 8th Marines 2nd Marine Division] is an American best known for his role in the Iran-Contra scandal. 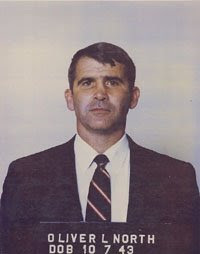 North came into the public spotlight as a result of his participation in the Iran-Contra affair, a political scandal of the late 1980s, in which he claimed partial responsibility for the sale of weapons via intermediaries to Iran, with the profits being channeled to the Contras in Nicaragua. He was reportedly responsible for the establishment of a covert network used for the purposes of aiding the Contras. U.S. funding of the Contras by appropriated funds spent by intelligence agencies had been prohibited by the Boland Amendment. Funding was facilitated through Palmer National Bank of Washington, D.C. It was founded in 1983 by Harvey McLean, Jr., a businessman from Shreveport, Louisiana. It was initially funded with $2.8 million dollars to McLean from Herman K. Beebe. Oliver North supposedly used this bank during the Iran-Contra scandal by funneling money from his shell organization, the "National Endowment for the Preservation of Liberty", through Palmer National Bank to the Contras. Photo: Daniel Ortega, standing in front of a mural portraying Augusto Sandino. The National Security Archive's Nicaragua collection documents the most controversial foreign policy issue in recent memory: U.S. relations with the Sandinista Revolution. A detailed declassified history emerges from this set; from the overthrow of Somoza, through the advent of the U.S.-sponsored Contras, to the February 1990 electoral defeat of the revolutionary government.The collection provides the most comprehensive case study of intervention and revolution in Central America currently available to the public. Nicaragua, 1978-1990 contains over 3,500 documents totaling 13,000 pages, many of them recently declassified Department of State cables obtained through the Freedom of Information Act. The collection provides a centralized source of documentation for primary research and analysis of U.S. policy toward the Nicaraguan revolution from beginning to end. It is composed of documents dating from 1978, when widespread opposition to the Somoza family dynasty became visible, through the decade of the 1 980s, when Nicaragua emerged as a hotly debated foreign policy issue in the United States and abroad. Hitherto inaccessible documents generated by the Contras, around whom much of the debate swirled, are also included. 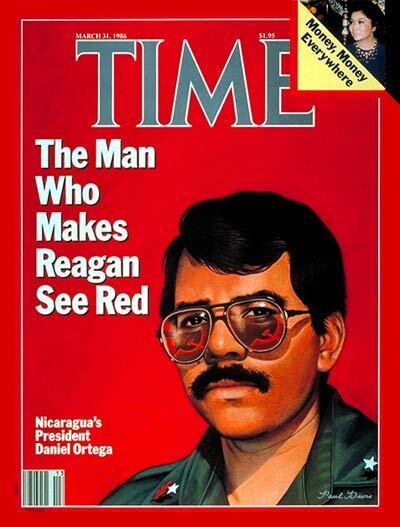 Materials on the U.S. role in the Nicaraguan elections of February, 1990, which unseated the Sandinista party, complete the set. Key events covered by the collection include: the U.S. attempt to mediate an end to the crisis between Anastasio Somoza and political opponents of his rule in 1978; the U.S. Embassy effort to arrange the departure of Somoza, and orchestrate the transition of power to the moderate opposition in July 1979; the Carter Administration's initial relations with the Sandinista government; the advent and early history of the Contras; key Congressional votes on Contra aid between 1982 and 1988; the efforts by the Contadora nations in Latin America to negotiate a peaceful end to the strife in Nicaragua; the CIA's mining of Nicaragua's harbors in 1984; Nicaragua's first national elections under the Sandinistas in November 1984; the Reagan Administration's imposition of a full trade embargo in 1985; the discovery of the Reagan Administration's illicit contra resupply operations in 1986; and the Bush Administration's successful campaign, through the National Endowment for Democracy, to defeat the Sandinista party in Nicaragua's February 1990 elections. The Archive prepares extensive, printed finding aids for its collections. The Guide contains a detailed events chronology, glossaries of key individuals, organizations, events, legal terms and acronyms, a selected bibliography of relevant secondary sources and a document catalog. The catalog, organized chronologically, provides bibliographic information about the documents and lists all the indexing phrases generated for each. This facilitates browsing through the document descriptions and allows researchers to preview key details about documents before perusing the microfiche. The Index contains rich contextual references to subjects, individuals and organizations. The detail provided in indexing allows researchers to pinpoint relevant documents in particular areas of study. Reproduces on microfiche 3,500 documents totaling over 13,000 pages recording U.S. policy toward Nicaragua from the overthrow of Somoza to the 1990 electoral defeat of the revolutionary government. Documents are arranged chronologically. For ease of use, the unique identification numbers assigned to the documents are printed in eye-legible type at the top right hand corner and precede each document on the microfiche strip. Documents are reproduced on silver halide positive- reading microfiche at a nominal reduction of 24x in envelopes. They are archivally permanent and conform to AIIM, BSI and ANSI standards. Any microfiche found to be physically substandard will be replaced free of charge. A printed guide and index totaling over 1,000 pages accompanies the microfiche collection. The Guide contains an events chronology, glossaries of names and organizations, a bibliography of secondary sources and a chronological listing of documents. The Index provides in-depth, document-level access to subjects, individuals and organizations. "It is important to my work, as a scholar, that I have access to actual government documents ... such documents allow me to have a more accurate understanding of events. In addition, students learn, from actual documents, how our government makes foreign policy decisions. By publishing the Nicaragua collection the National Security Archive is providing an invaluable service." "The declassified documents, which cannot be obtained anywhere else, are a boon to scholars in the field of American foreign policy."